DaedTech Digest: How Do You Manage without a House Full of Stuff? On last week’s digest post, I walked it back to first principles. What even is slow travel? This week, I’ll continue with this theme, answering a basic and sort of existential question that people often ask us. How do you live without your stuff? The normal human condition involves a somewhat linear procession. At some point you leave the nest, getting your own place. You then fill that place with stuff, but you also prosper, eventually earning enough money to rent or buy a bigger place. At this point, you take all of your stuff, put it into your bigger and now-seemingly-empty place, and kind of repeat the process. Buy a bigger place, fill it with stuff. Once you have too much stuff, buy a bigger place. Rinse, repeat. I understand this condition because I have lived it. I started adult life living in a tiny studio apartment in Chicago with my girlfriend at the time. Outgrowing it as I prospered, I found myself in a 2 bedroom apartment. Then a 3 bedroom townhouse. I won’t bore you any further — you get the idea. But now, I live without all of that accumulated stuff. That is, I don’t just live without it when we slow travel — I just live without it, period. I didn’t just happen by this outlook like some kind of monk. Circa 2013, I was doing what most people do — buying bigger properties to house my burgeoning stuff so that I could acquire more stuff and need more property. But then, work sent me on the road. A lot. I lived for weeks in a hotel, and it was a novelty. I lived for months in a hotel, and it became a weird new lifestyle. And then I lived for years in a hotel, and came to learn that I didn’t need too much more than some computers and a couple of weeks of clothes. As my stuff languished for years, unused and not-missed, I came to realize I didn’t really need it. And I eventually came not to miss it, even abstractly. I donated literal Jeep-load after Jeep-load to charity, and that was that. So when you ask me how I deal without my stuff while vagabonding, I don’t have the most satisfying of answers. I don’t, exactly. 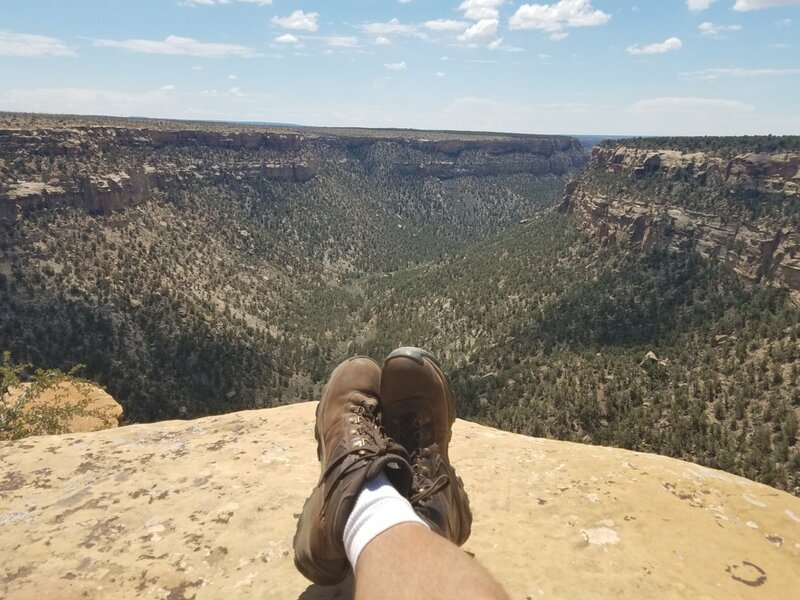 I got used to a certain way of living through years of travel, and didn’t think much more of it. When we hit the road now, I take my work computers/equipment, a couple of weeks worth of clothing, and a few odds and ends. And that applies whether we’re traveling for 6 days or 6 months. So, how do I mange without a house full of stuff? The same way any of us did at age 19 — by understanding that I don’t need it. I’ve been reading another fantasy series, entitled Blood Song (Raven’s Shadow) series. I’m a book and a half in and can’t recommend it enough. Finally tiring of the calendar dance, I’ve enlisted a service. If you work a corporate job, you can’t relate, but if you’re a free agent and nobody can see your calendar, just as you can’t see theirs, you understand the calendar dance. “I’m open Wednesday from 2 – 5 Central time and Thursday from 9 to 11:30 and then from 3:30 to 4:30…” only to hear back a similar, confusing list. Calendly lets you just send out a link that wraps your schedule and say, “here, pick a time.” And it’s glorious. Going to give Siteground, who now hosts 4 websites of mine, another nod. I purchased the site makemeaprogrammer (stay tuned for more info), and the time between picking the domain name, purchasing, and having a fully resolving, nice-looking default WordPress installation was seriously about 15 minutes. Wow. And that includes making it an SSL site and forcing non-SSL requests to redirect. Seriously. All that in 15 minutes. However, if you’d like to hear from me beyond this blog, there’s still recourse. I’ve been doing a lot of podcasts over the last 6 months. 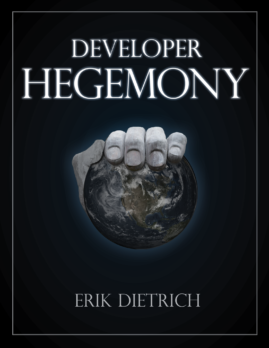 Here’s an admittedly pretty old episode of Developer on Fire, where I talk about Developer Hegemony. I’m a guest in this episode of the Freelancers show, talking about Developer Hegemony. And, in this episode of the Freelancers show, I do my first stint as a regular panelist, talking about responding to RFPs. As always, have a good weekend! I’ve had the same experience with clothes. I always seem to pack more than I need, though with each trip/venture I over pack progressively less and less.